When my family and I decided to start living frugally, we found it frustrating to come up with fun things to do that didn’t cost an arm and a leg. We didn’t want to just while away our time in front of the TV for lack of funds so we got creative and found plenty of hobbies that didn’t break the bank. No matter what you enjoy, you’ll be able to find something that interests you in our ultimate guide to fun and cheap hobbies! Not only are spiritual hobbies free, but they will help you form a connection with yourself that will help to enrich your life in a variety of ways. 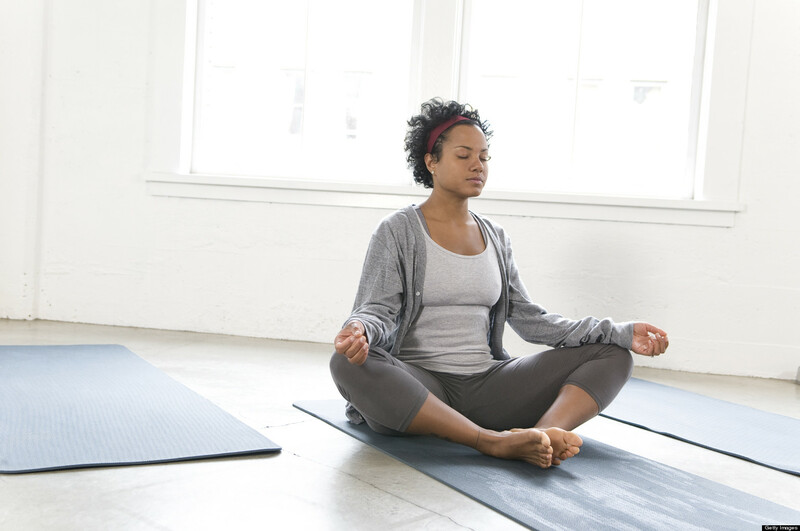 If you’d like to strengthen your mind-body connection, there is no better hobby than meditation. Start your days with some simple and short guided meditations to set yourself up for a wonderful day. Yoga’s not only good for your mind, it’s good for your body, too. If you’d like to gain flexibility, strength and coordination, consider giving a beginner’s yoga routine a shot. Although this isn’t for everyone, exploring different religions can open your mind and help to educate you on other cultures throughout the world. Explore the major religions and then delve deeper into whichever one suits you. Join a church, temple, mosque, etc. If you’re already religious (or just discovered one from #3 above) the next step is to join a community of like-minded religious folk. You can meet new friends and enjoy a rich sense of belonging without spending a dime. Western philosophy can help open your mind and introduce you to different perspectives on life. Although it can sometimes be a dry subject, there are entertaining sites devoted to putting a fun spin on the topic. Free-writing is an ancient art that provides a safe and effective medium to explore your emotions and unravel complex thought processes. Delve into your inner workings and change your life by taking 10 minutes when you wake in the morning to write whatever comes to mind. Challenging yourself will only make your life more meaningful and enlightened! These hobbies will transform you into a super version of yourself in no time. The ultimate of all free hobbies, reading can transport you to another world or teach you new and interesting topics that you’ve always wanted to learn. Peruse the local library and grab a few books that pique your interest. Bucket Lists are all the rage right now, so why not jump on the bandwagon? Spend a few days dreaming up all of the things you’ve always wanted to do and then put plans in place to achieve them all before you kick the bucket. If you crave self-expression, writing is the best way to let those creative juices flow. Spend some time writing poetry or planning out your next novel. On top of being absolutely free to do, you can even make some money off of your creative musings! Even if you don’t have a creative bone in your body, you can still try your hand at drawing or coloring. It’s a great stress reliever and you may find that you have some talent hidden in there somewhere, after all. If you want to expand your knowledge or open your mind to novel ideas and new perspectives, watch some of the best public speakers and top experts in their respective fields. You could also listen to popular podcasts or watch documentaries on the Science Channel. Is there something you’ve always wanted to do but felt like you couldn’t? Commit to a 30-day challenge and prove to yourself that you’re capable of whatever you envision. You can stick to just about anything when it’s only for 30 days. Do a couch to 5k program, write a blog, learn how to trade stocks, give up a bad habit; whatever your heart desires! Creative hobbies aren’t just for the artists of the world. Find your inner inspiration with these imaginative and expressive hobbies. Making your own things can help you save a ton of money and it’s a fun way to express yourself. Peruse free sites for thrifty materials to make just about anything: gifts for friends & family, home decor, even your own clothes! Graphic design and animation artists are in high demand; this makes it a great hobby to have that could pay off big-time in the near future! Youtube is the second largest search engine, second only to Google. If you have something to say and a fun way of saying it, consider creating a Youtube channel and uploading your own videos. Who knows? You could become the next big Youtube star! This beautiful art can make your invitations and thank you notes look ever so fancy. If you’re a sentimental person and like to hold on to items of significance, try creating your own unique mementos. You can make quilts using old scraps of fabric or shirts from family or friends. Or you can make scrapbooks and organize your pictures and memorabilia into a lovely keepsake. Origami is the ancient art of paper-folding and it’s quite addicting. Once you learn how to make the basic folds, it’s a piece of cake and loads of fun to create different animals and designs. What better activity for those being frugal than become financial experts? Make money or save money; either way, you’re a step ahead of the frugal game with these hobbies. Be a coupon clipper and you get extra brownie points; not only is it free, but it saves you money on household necessities! If you’re new to the world of coupons, don’t be overwhelmed. There are tons of ways to save money that don’t require a huge time commitment. Some people love spreadsheets, calculations and managing their money; budgeting is the perfect hobby for them. Even if you hate these things, though, consider implementing a budget for sheer financial purposes. It’ll not only save you money, but it can help you plan for the future and accomplish lifelong financial goals. If you dream of having financial independence, investing may be your new favorite hobby. You don’t need a lot of money to start and once you see how much money you can make, you won’t want to stop. It may seem like a daunting subject, but there are some great sites devoted to showing budding investors the ropes. OK, OK. I know that work isn’t *quite* a hobby, but it can be if you obtain a part-time job that suits your interests. If making money is an obsession for you, then working hard to pay off debt or save for an important event can certainly be a fun and rewarding hobby as you watch your bank account grow! Thrift-shopping is another frugal hobby that can save or even make you money depending on your motivation. If you’re in the market for just about any household item, check out local garage sales or thrift stores first. It’s fun to make a day out of thrift-shopping, examining finds and trying to haggle with sellers. It’s so fun, there are people that make a living scouring garage sales and selling their scores online. If you have a useful skill like crafting, bookkeeping, graphic design, computer repair, etc., why not start your own business? Advertise for free using social media and sites like craigslist.org and make some money off of your expertise. If you’re a social butterfly and you feel your best when you’re surrounded by people, these hobbies are the perfect choices for you. In today’s era of technology, there are sites galore for meeting all types of people. No matter who you are or what you like to do, there’s a group out there for you. You can join book clubs, or hiking groups, mom’s play-dates or cooking classes with the click of a button and be well on your way to meeting your next best friend. Fido will love you forever if you adopt this hobby. Find the nearest dog park and spend the afternoon playing with your pooch. Your dog will get to expend energy, you’ll have bonding time and there’s a chance you both could go home with some new friends. Games are a cheap and entertaining way to enjoy an evening with friends. Play Pictionary, charades or catch phrase and spend the evening laughing instead of spending money. Grab a couple of friends and head to a local trivia night to test your knowledge and enjoy a fun yet frugal night out. Spend a night a week connecting with your friends or family. It’s free and good for your overall well-being. Call them up, head to their house to chat or go grab some coffee to enjoy a cheap evening. Karaoke nights are great free entertainment. You don’t have to be a singer yourself to enjoy the atmosphere. And more often than not, it’s great fun just to watch all of the drunk people belt out their favorite tunes. The internet is the end-all-be-all of free hobbies. The entertainment is so vast, people have spent literal days in front of their computer screens. We don’t condone going that far, but if you like screen time, you’ll love these hobbies. If you tend to have good luck, try entering online giveaways, sweepstakes and contests for the chance to win a bevy of great prizes: electronics, free subscriptions, even vacations or cash prizes! From slots to simulation games to puzzles, there’s no lack of addicting games to be played online. Kill some free time and educate yourself on world events by staying abreast of current affairs. It can also help your small talk at parties! Sites like reddit, stumbleupon, pinterest, buzzfeed, etc. can keep you browsing for hours on end. Have some hearty chuckles, gain some new knowledge or find tomorrow night’s dinner recipe in your free time. I’m sure you have some old items sitting around your house collecting dust. Make some easy extra money by selling them online. Snagging free stuff on the internet is easier than it seems. Not only are there sites for people wanting to give away various items for literally zero dollars, but there are companies that will send you samples of their products for free, as well. One of the best (and cheapest) hobbies you can take up is exercising. Working out doesn’t cost much, if anything at all, and it can add years to your life! This frugal hobby is perfect for relieving stress, losing weight and creating a great mind/body connection. All you *really* need to start a running hobby is a good set of sneakers and maybe a couch to 5K program if you’ve never run before. Pack up your bike and head to nearby trails to enjoy beautiful scenery and get your heart pumping at the same time. There’s a plethora of exercises you can do with no equipment whatsoever, just using your body weight. Check out some great free Youtube channels that’ll have you looking your best in no time. Head outdoors and spend some time reconnecting with nature. Gear up for a day exploring local hiking trails to enjoy the great outdoors and get your blood flowing simultaneously. Team sports are a great way to get exercise and bond with friends (or make some new ones!) Check out your community recreation center to see what adult group sports they offer or check local listings like Craig’s list for teams looking for members. If you have kids, make it a hobby to run around and play with them for a set amount of time every day. It’s great bonding time and a wonderful way to stay in shape while teaching your kids healthy habits for the future. Getting out into nature is one of the most rejuvenating activities. Coupled with the fact that it’s free makes outdoor hobbies hard to beat! Fido would love to spend some active time together. Take your dog for a hike or to a dog park or head to the lake and go swimming together. Rover and your waistline will both thank you. This cathartic activity will not only make your house look lovelier, but ripping out weeds has a way of making your stress melt away. Grab a packet of cheap seeds and discover whether or not you have a green thumb. This fun version of a treasure hunt involves seeking out hidden “caches” using GPS coordinates. Just download the free app and have fun finding the hidden boxes! This classic hobby is easy to learn and a nice, relaxing way to spend your day. You get extra credit for saving money on dinner if you cook a fish you caught! Reconnect with nature by camping out for a weekend. Take the time to disconnect from all of your devices and just enjoy the sounds of wildlife and the smell of nature all around you. If you live in an area with abundant wildlife, try putting up a homemade bird-feeder. Then just sit back and enjoy all of the marvelous critters that come by for a snack. They say that you should never stop learning in life, so make learning one of your hobbies. It’s never too late to learn anything in life! You don’t need those fancy (and expensive) Rosetta Stone programs to learn a new language. Head to your library and grab a couple of books or try any number of the fabulous, free language-learning websites that are out there right now. Repairing your own car or doing the work on your home yourself is a really useful and money-saving hobby! You can literally save thousands of dollars by learning these skills instead of paying labor costs for a mechanic or home contractor. Although this sounds like a hobby for an elderly spinster, knitting, crocheting and sewing are gaining in popularity with the younger generation. If you learn how to do one of these old-world hobbies you can make your own clothes or gift your masterpieces to homeless shelters or hospitals. Imagine the bragging rights you’ll have if you create your own game, app or website from scratch! It doesn’t cost anything to learn and you could make some money if you have a good idea! Despite sleeping most of the day, dogs get bored easily. Curb his boredom and let Rover show off his intelligence by teaching him some new tricks. Learning to cook is a crucial life skill, but it can also be a fun hobby. Expand your palette by trying new dishes and making a mess in the kitchen. If you have a big heart and want to share it with the world, you don’t need a million dollars to change someone’s life. Give back to your community and help our planet with these great hobbies! There are so many cheap (or free) ways to be kind to others. You can write a thank you note to someone who helped you or give your elderly neighbor a hand by mowing her lawn. Bake some cookies for the senior center or donate Box Tops to your local school. The possibilities are endless for making someone’s day brighter. Local charities are always looking for volunteers. You can help by walking dogs or visiting seniors to play games together. If you have limited time, spend it by sharing your favorite charity’s posts on social media; they’re always looking for any exposure they can get. You could be helping to save a life by donating your blood and platelets. This isn’t one of those every-day hobbies, but if you spend some time once a month donating, imagine all of the people you could be helping! If you want to enact change, there’s no better place to start than by writing to your local congressman. Change always starts small so don’t discount the effect this can have. If you want to volunteer your time but would prefer to be less hands-on, you could always assist with fundraising or setting up events for your favorite charity. You can run a booth, help serve food or hand out programs depending on the event. You can make it a hobby to help save the environment on a daily basis. You’d be surprised by the plethora of small efforts you can make every day to reduce your impact on this planet. We hope you’ve enjoyed our compilation of frugal hobbies! Comment below to tell us if we missed any of your favorite cheap ways to pass the time!